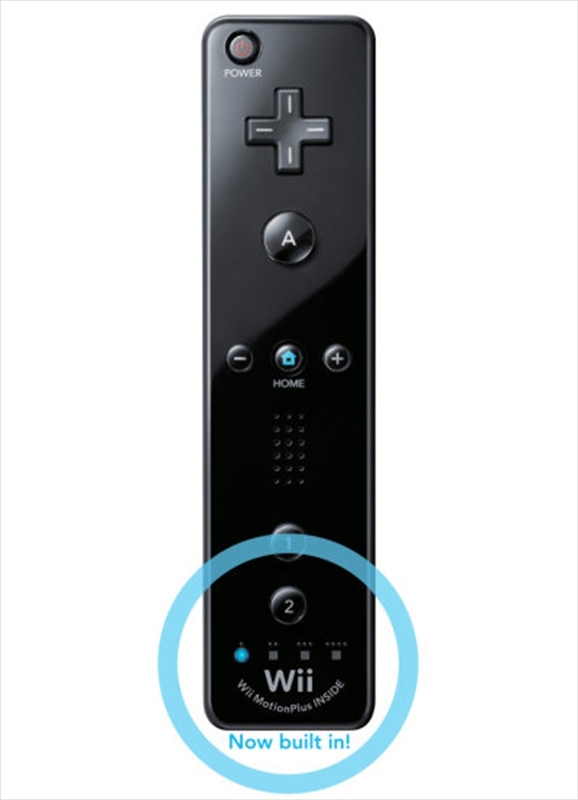 Wii Remote Plus is the original Wii Remote, with Wii MotionPlus functionality built in! It uses advanced gyroscopic technology to track every twist and turn of the Wii Remote Plus. The motion-detecting capabilities of the Wii Remote Plus open up whole new dimensions in gameplay. Your subtlest movements will be faithfully reproduced on-screen in a way that was previously unimaginable, letting you twist, lunge, tilt, and shake your way to gaming greatness. It can also be used as a direct pointing device, so you can point and click directly at the screen.